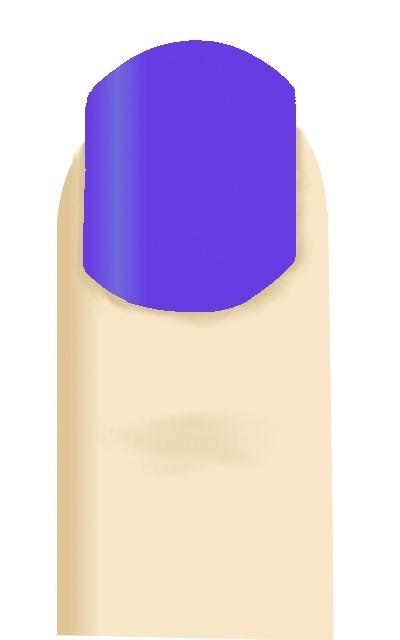 Using a blue nail polish or any other color you desire, paint the entire nail. Step 3 Add the swirls. 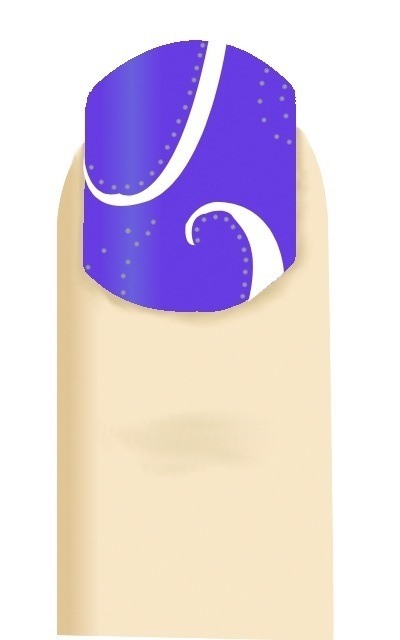 Using a nail art brush, nail art pen, toothpick, or whatever your comfortable with, draw the white swirls. As you see, it helps to draw the outline of the swirl first then fill it in. 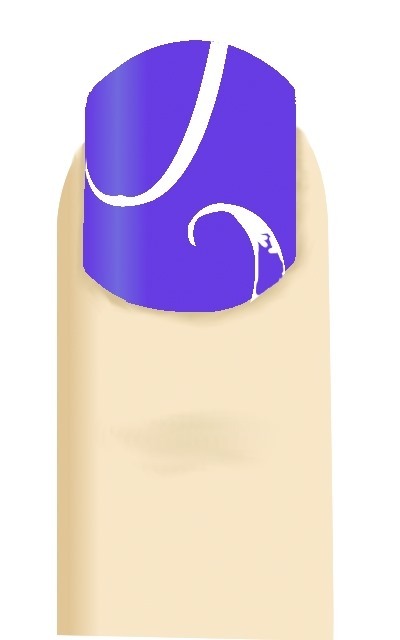 After your swirls have dried and you're satisfied with them, paint a clear coat on top. Before the clear coat dries, place the rhinestones on. A toothpick helps you to guide the rhinestones to the right place. Step 5 Add another top coat. Add another top coat to make sure the rhinestones stay in place and the polish doesn't chip as easily. 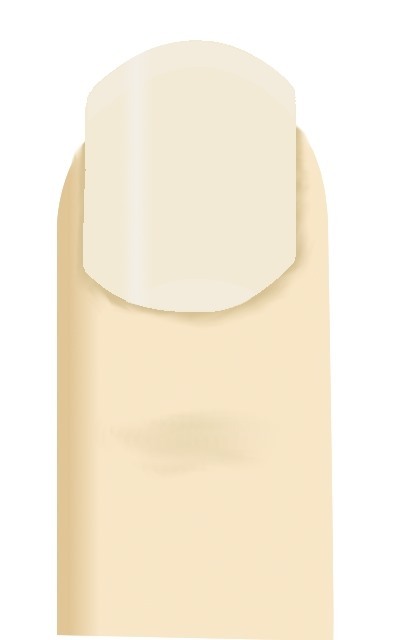 Once finished, your nails should look like this.